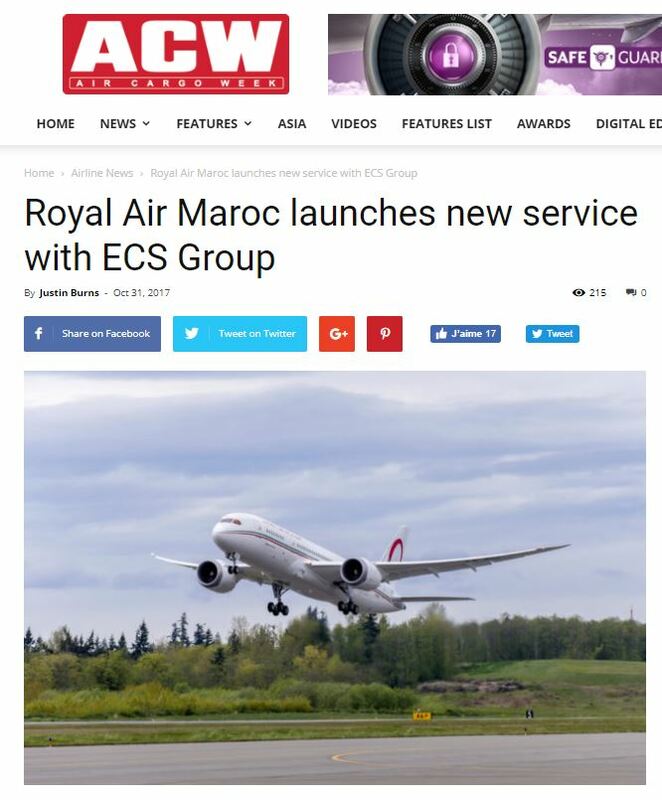 Royal Air Maroc (RAM) Cargo has launched a new service working with the ECS Group – dedicated to the shipment of personal belongings from the US and Canada to an extended number of countries in Africa. This initiative will have special promotional rates for all freight bookings made until the 15 November. This service will make moving easier and more affordable. RAM’s general sales and service agent is ECS Group, who says it is confident in the success of this initiative managed by its subsidiaries. The teams of Globe Air Cargo in USA and Exp-Air Cargo in Canada are already actively promoting this offer which responds to the large North and West African communities’ demand. Globe Air Cargo in France is getting ready to be the next country to launch this service. To celebrate the launch, Royal Air Maroc Cargo & ECS Group sponsored a special double-header soccer match on the 7 October in New Jersey, featuring the New York Red Bulls against the Vancouver Whitecaps FC. This face-off was followed by the US Soccer Heroes Community Cup, a charity match featuring law enforcement and first responder organizations members against civilian players from local communities. This major sporting event has gathered more than 25,000 soccer fans, and offered RAM Cargo the opportunity to promote this new service among African communities residing in the US.